I always felt that Issac Asimov and Sigmund Freud would have made a fabulous pair as a CTO and a CMO, running a tech company in 2018. Why? Science and creativity, with a touch of human emotion, can solve all the pain points that marketers face today. Most marketing leaders would agree that AI will remain a buzzword for marketers in 2018. However, brands are expected to capitalize on the power of chatbots and virtual assistants to remain present throughout the customer journey to better understand consumers and amplify their purchase decisions. This is where companies providing AI-as-a-Service would gain maximum traction in the martech industry. A new report on martech hiring trends says that CMOs are most likely going to hire and pay higher salaries to executives with a strong background in Data and Analytics. 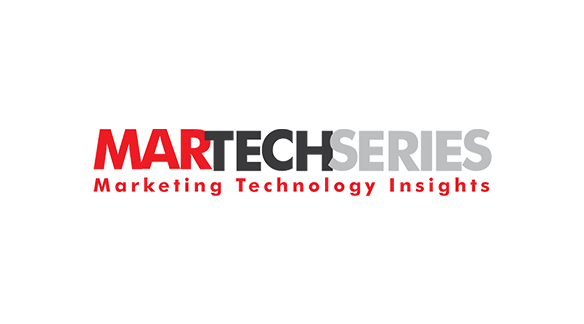 While marketing leaders are divided on what trends would finally shape martech budgets in 2018, we believe that a large part of that budget is going to be reserved for the Big Tech powered by Data Science, AI, Machine Learning, and Analytics. In Part Five of our Predictions 2018 Series, we bring cutting-edge insights on leveraging AI-as-a-Service from global representatives at Allocadia, Blis, Bospar, Botworx.ai, BrightEdge, Cobiro, DiscoverOrg, Distil Networks, IRIS.TV, Marchex, Reveal Mobile and Webdam. In all these, AI-powered DAM delivering relevant analytics would make the biggest disruption in the martech ecosystem. We are already seeing chatbot used by brands to engage customers via Facebook Messenger, Instagram and the like, and based on those results, we can expect to see more in the future. Mahi further stated, “The success of chatbots and AI is reliant on time and actionable data. Machine learning, like human learning, can only improve with practice and experience. 2017 was a huge year for AI and chatbots in the marketing world, and many of these systems have gone through the learning curve with their bots, making them far more intuitive when it comes to engagement with human users. This is what makes 2018 so exciting, in that we will finally begin to see the fruits of this labor and a new age for AI and marketing. Elias Terman, VP Marketing at Distil Networks, feels that it’s time for marketers to realize that the technology that has the biggest impact on marketing is not some new cool app or the ground-breaking functionality from a vendor. It’s the effect of bots on their business! Cobiro CEO, Bo Krogsgaard, feels that amongst US-based SMBs, 61% of them are not ready to use AI. The main reason is that they consider it overkill, expensive and difficult to deploy and perhaps most importantly, they do not have the expertise. For Cobiro and companies providing AI-as-a-Service have a huge opportunity. Brian Handly, CEO, Reveal Mobile, predicts that modern marketers will continue to embrace use cases for location data beyond proximity-based push alerts and advertising. The location will be used to enhance more aspects of the shopping journey, including in-store augmented experiences, simplified mobile checkout, product reviews and tutorials, and in-store navigation. While we expect CMOs to tighten their martech budgets, there is a huge possibility that they would look to expand their vision in adding AI-powered capabilities into their existing marketing stack. AI-as-a-Service providers have a hay day to look forward this year! With the maturity of marketing automation platforms and the marketing intelligence tools, the way each company monetizes AI would vary in 2018. While tech giants like Amazon, IBM, and Google (I would push for Tesla too!) would largely use their proprietary AI capabilities to solve business challenges internally, marketing technology vendors would rely on AI-as-a-Service to cull information from their data streams and build a more prescriptive/ recommendation models for marketing, sales, and advertising.